Select a document from your library that you'd like to restrict from others with full access to company documents. The Group and Actions menus will show up by the search bar;select the group menu and click Add New Group. 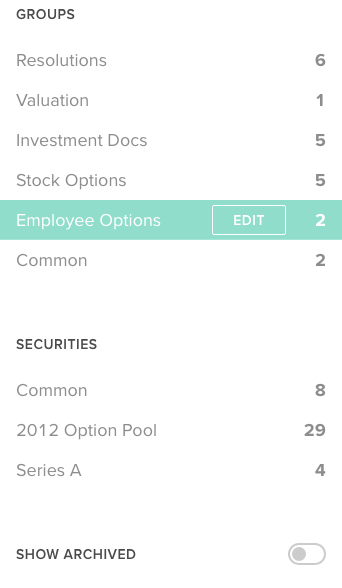 By default, all company administrators will be able to access all documents and all groups. If you unselect one or all administrators, when they next login the documents will not appear in the document list and this group will not be visible to them. Name the group, and save it to apply the permission. 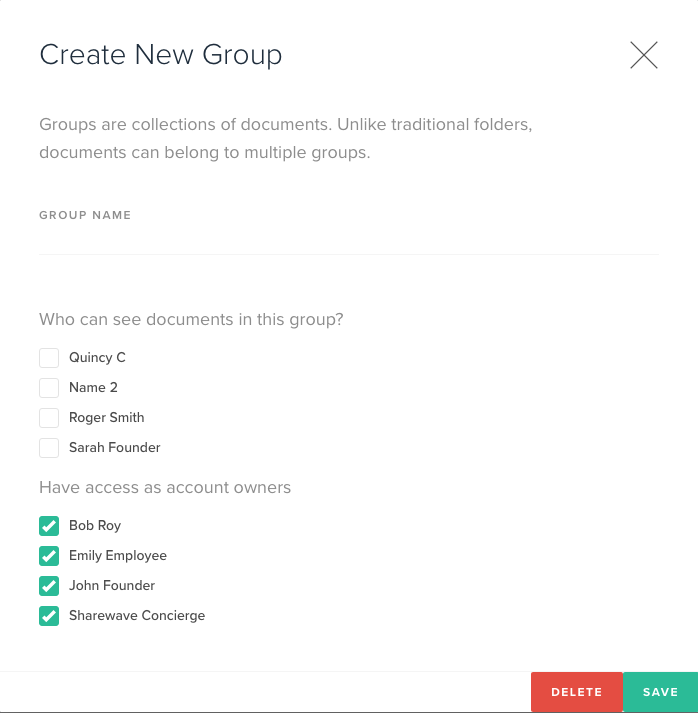 If you want to review or change group permissions, just select the group from the filters on the right of your documents and click edit.